Virginia Chamber of Commerce issued the following announcement on March 18. Following the retirement of Jeff Lenhart, a shareholder in its Harrisonburg office, the law firm has announced that its new name is Flora Pettit, effective March 18, 2019. John W. Flora, whose is now recognized in the firm name, is a founding shareholder who practices primarily in the law firm’s Harrisonburg office. Flora has vast experience representing businesses, having served as lead corporate counsel for a Fortune 500 company, as well as legal counsel to agricultural ventures, cooperatives, farmers, small business owners, health care entities and individuals throughout the Valley. Flora’s expertise and advanced degree in tax law set him apart from many practitioners, and he advises firm clients on a range of matters, including business formation, contract and deal negotiation, and business succession and estate planning. Flora Pettit is a business and litigation law firm with 26 attorneys specializing in over 23 diverse practice areas. 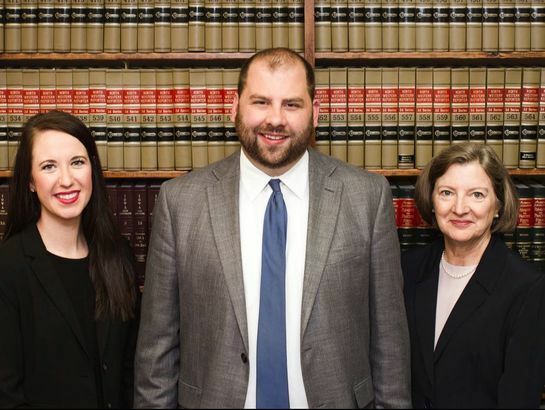 Flora Pettit has added four new attorneys in the past year and continues to grow. The firm looks forward to engaging and serving its communities under its new name with the same commitment to excellence, integrity, and responsiveness for which its attorneys have long been known. The firm’s office addresses and phone numbers remain the same. Our new website is www.fplegal.com, which is also the new domain name for our e-mail addresses. E-mails to @lplaw.com addresses will be forwarded to @fplegal.com addresses. Want to get notified whenever we write about Virginia Chamber of Commerce ? Sign-up Next time we write about Virginia Chamber of Commerce, we'll email you a link to the story. You may edit your settings or unsubscribe at any time.